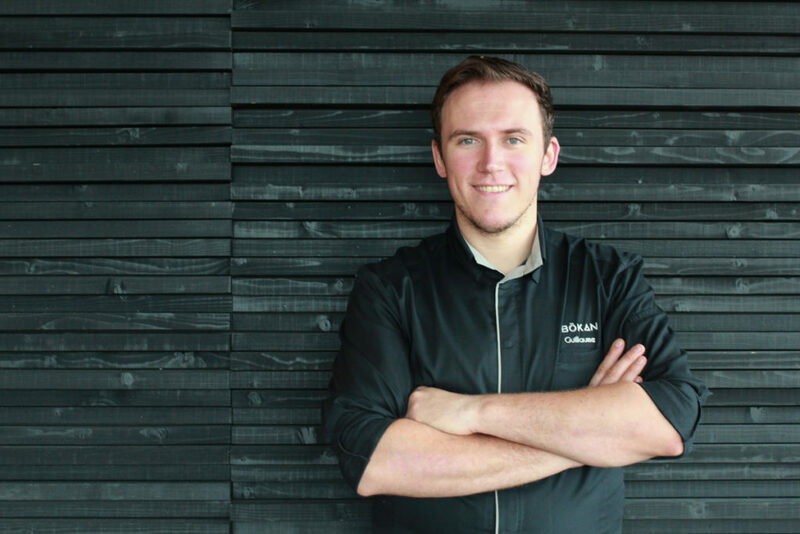 We caught up with Guillaume Gillan, head chef of the amazing Canary Wharf Restaurant Bokan. 1. GULLIAUME, CAN YOU EXPLAIN THE BOKAN CONCEPT TO OUR READERS WHO MIGHT NOT HAVE HAD THE PLEASURE OF POPPING DOWN YET? 2. IT’S GOT AMAZING REVIEWS, AND A 2 AA ROSSETE BEHIND ITS NAME. YOU MUST HAVE A PRETTY IMPRESSIVE CV! WHAT RESTAURANTS HAVE YOU WORKED AT BEFORE ENDING UP THERE? Alain Ducasse, The Grill in Monaco and Alain Ducasse, Rivea in London. Also L’Atelier, Joël Robuchon in London. 3. SO YOU WERE OBVIOUSLY DESTINED TO BE A TOP CHEF. WHERE DID THIS LOVE OF COOKING COME FROM? 4. SO FAR, THE RESTAURANT IS JUST BASED IN CANARY WHARF. ARE WE LIKELY TO BE SEEING IT POPPING UP ANYWHERE ELSE IN LONDON IN THE FUTURE? At the moment we have not heard about another BOKAN popping up, but who knows? With all the businesses that Accor is acquiring as well as a big focus on developing the food and beverage offering of their brands, it is very possible that there might be another BOKAN in London or the world. 5. WHEN COOKING FOR FAMILY AND FRIENDS, WHERE’S YOUR GO TO LONDON JOINT TO PICK UP INGREDIENTS? My favourite place to shop for Food is Turnham Green Terrace in Chiswick with premium local business such as Natoora, Covent Garden Fishmongers, Bayley & Sage + Lemon and Limes. 6. WHAT DOES YOUR PERFECT LAZY SUNDAY IN LONDON LOOK LIKE? I love to try out new restaurants. My top 3 wish list is: Sketch, Bibendum and Rogan.